Did well enough yesterday to get featured in ebookdaily. Thanks for helping spread the word, guys! Closing in on 2000 downloads in the past 24 hours, and made like #89 on Amazon’s Top 100 free, as well as #5 in Free Dark Fantasy, and #11 Free under Science Fiction and Fantasy. Hopefully, that will translate into some decent exposure for the series! 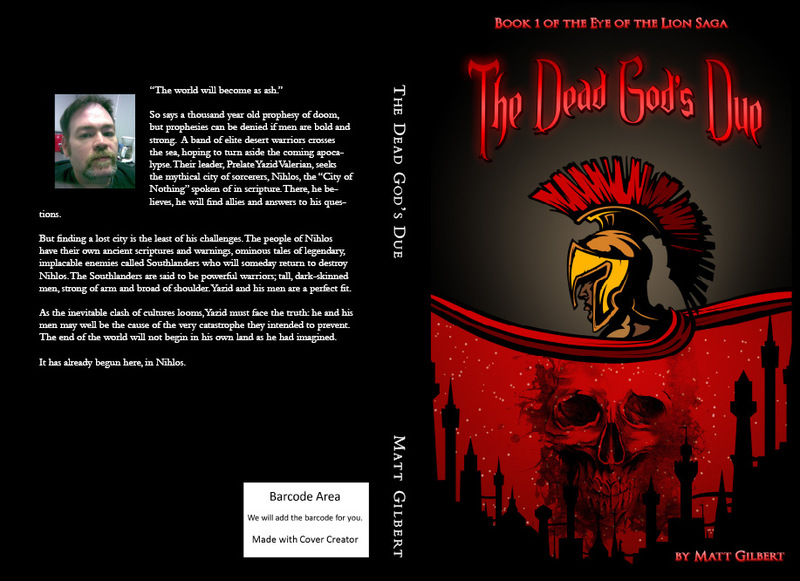 With “The Mad God’s Muse” coming out in July, I am doing some freebie days for “The Dead God’s Due” to let folks catch up. Enjoy, and pass it along to your friends! It’s a nice, dark little sword and sorcery tale. Enjoy, share, and leave a review if you can! I need word of mouth! Preorder campaign launched on Amazon. “Blood Debt” had a good day! 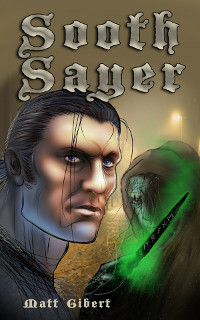 Day 1 of 5, hit #2 in Free Short SciFi/Fantasy Reads, and #4 in Short Reads Lit and Fiction. If you have people to share this with, please do. Let’s get it out there! Grab it for free. 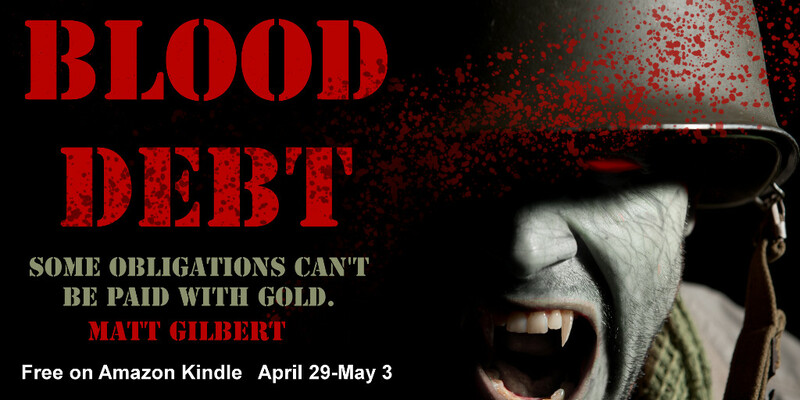 It’s a fun, short read, a slightly different take on your typical zombie story. I never had a good ‘back of the book’ description before, so I wrote one I think will work. What do you think? So says a thousand year old prophesy of doom, but prophesies can be denied if men are bold and strong. A band of elite desert warriors crosses the sea, hoping to turn aside the coming apocalypse. Their leader, Prelate Yazid Valerian, seeks the mythical city of sorcerers, Nihlos, the “City of Nothing” spoken of in scripture. There, he believes, he will find allies and answers to his questions. But finding a lost city is the least of his challenges. The people of Nihlos have their own ancient scriptures and warnings, ominous tales of legendary, implacable enemies called Southlanders who will someday return to destroy Nihlos. 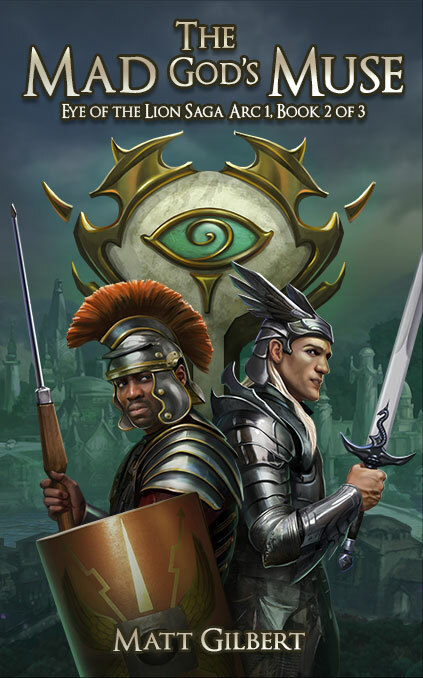 The Southlanders are said to be powerful warriors; tall, dark-skinned men, strong of arm and broad of shoulder. Yazid and his men are a perfect fit. As the inevitable clash of cultures looms, Yazid must face the truth: he and his men may well be the cause of the very catastrophe they intended to prevent. The end of the world will not begin in his own land as he had imagined. It has already begun here, in Nihlos. Ok, milestone in the 3rd novel, one that took me much longer than I imagined it would: I’ve sorted out the locations and character movements into a correct timeline. I am now convinced that this is perhaps one of the more difficult tasks facing an author who tries to create a long, exciting, and believable tale. This wasn’t all that important in the past novels. They encompass a longer period of time, months or years. There is plenty of gray area regarding when events take place, and when it does matter, the timing is fairly obvious. The third novel, however, takes place over the course of a week, and is basically the part where all of the characters run up against the consequences of their actions, interactions, and values. It moves very quickly, one event on the heels of another, and characters reacting to those events. For it to make any sense and keep momentum, certain things must occur in a certain order, and in addition, the places where the storylines touch as they all converge have to have the characters in the same locations. It’s very easy to make a complete mess where some characters seem to have been standing about doing nothing important for hours or days, despite the fact that they had urgent motivations, simply because there is no sensible way for those they are to interact with to travel to meet them in the right amount of time. That’s the problem I had, and it required some analysis and some plot changes to get it to all fit into place. And it’s what I have fixed. All of this is done in a very detailed outline form, with about half the chapters written to first draft status. Now, finally, I can get on with actually writing the remaining chapters, confident that none of my characters will need a jetpack (except, of course, the ones that actually fly)or a touch of narcolepsy to explain their presence in crucial scenes. Posted by: amrath in Columns, Dark Mutterings, Meta-Issues, Real Life, Out of Character, Etc.